How can you sing, Mangueira? 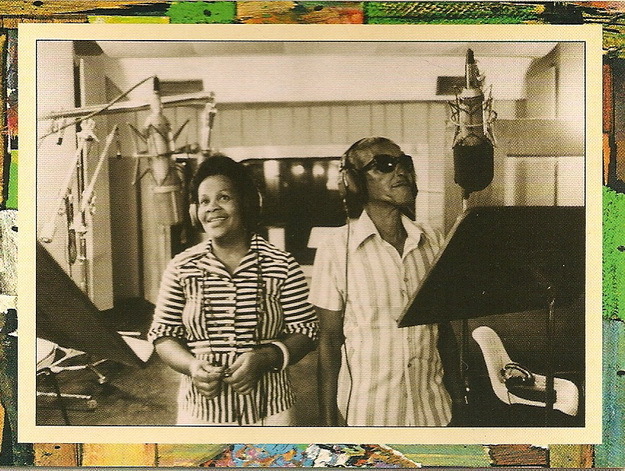 Cartola recording his second album in 1976, with his daughter Regina. In this recent post, I wrote about Paulo da Portela and his falling out with the samba school he’d helped to found in Oswaldo Cruz. Part of this falling out had to do with Paulo’s close friendship with sambistas from downtown Rio, Heitor dos Prazeres and Cartola. Cartola was one of the founders of the rival Mangueira samba school. In 1941, Paulo da Portela wanted to include Cartola and Heitor in the Portela Carnival parade, since the three had just arrived together from São Paulo. This provoked a nasty fight that caused Paulo da Portela to abandon the school. Let me hear you, tamborim! Let me hear you, percussion! 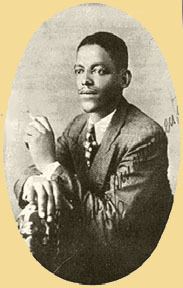 Cartola, pictured here on Morro da Mangueira, was not happy with the message sent by “Mangueira, Não” and wrote a version of his own the following year. Herivelto Martins and Grande Otelo were loyal fans of the samba school Mangueira, as this song from November 1943, makes clear. 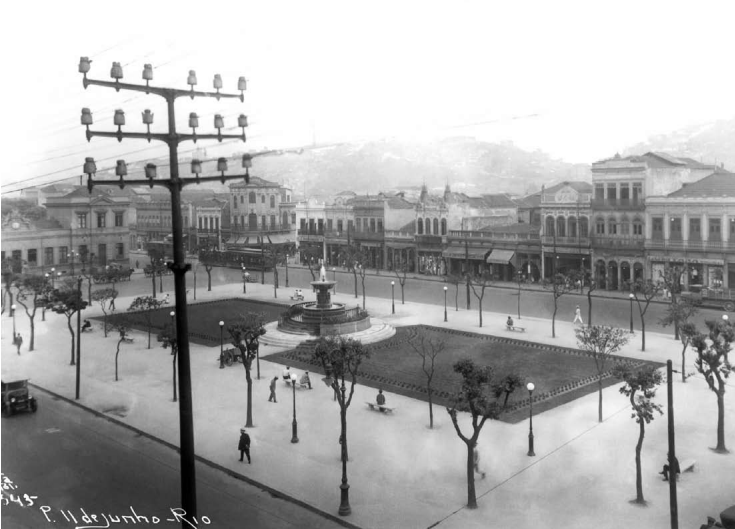 Praça Onze was destroyed to make room for Avenida Presidente Vargas, which was inaugurated in September 1944. In the song, they mention the destruction of Praça Onze, an act the pair had immortalized about a year earlier in one of Brazil’s most well-known sambas, “Praça Onze.” Praça Onze de Junho hosted Rio’s first samba gatherings and samba school parades in the 1910s – 1930s; it was demolished to make way for Avenida Presidente Vargas in the beginning of the 1940s. In this song, Grande Otelo and Herivelto Martins acknowledge that Praça Onze is gone — fine — and say for all they’re concerned Estácio, Rio’s first samba school, can go too; but not Mangueira. But as it turns out, the pair’s dismissive attitude toward other samba schools in “Mangueira, Não” was not a big hit. The next year, Estácio samba school held a party in honor of Mangueira, and for the occasion, Cartola, one Mangueira’s founders, composed a samba by almost the same name – “Silenciar a Mangueira, Não” – that stood up for other schools in the name of tradition and friendly competition, since “one swallow does not a summer make.” The original samba ended at “…old Estácio de Sá.” Monarco added the rest of the lyrics in his 1980 recording, one of just two recordings of the song. (The other is from 2002.) Pastoras (feminine of pastor, left in Portuguese in the translation below) are what the women singing the chorus in rodas de samba are often called. 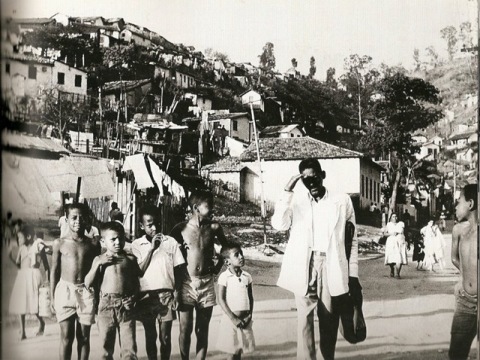 Main source for this post: Grande Otelo: uma biografia, by Sérgio Cabral and conversation with Jairo Severiano.